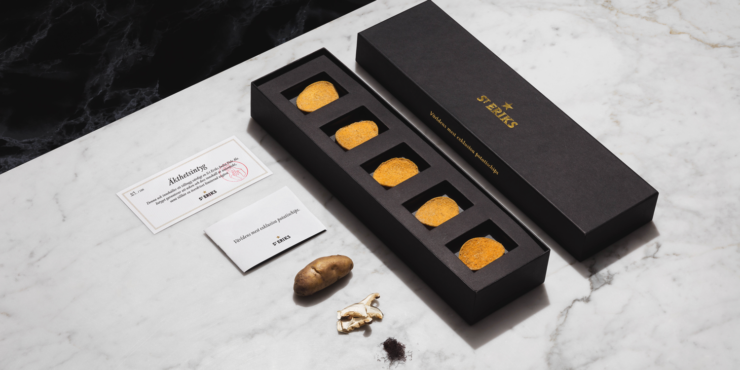 Would You Pay $56 For Five Potato Chips? | OhGizmo! With a taste similar to that of mature cheese, matsutake is one of the world’s most sought-after species of mushrooms. – Truffle Seaweed As the name suggests, truffle seaweed has a flavor reminiscent of truffles. The seaweed grows in the form of small tufts on the brown alga known as Ascophyllum nodosum, which is only found in cold tidal waters. 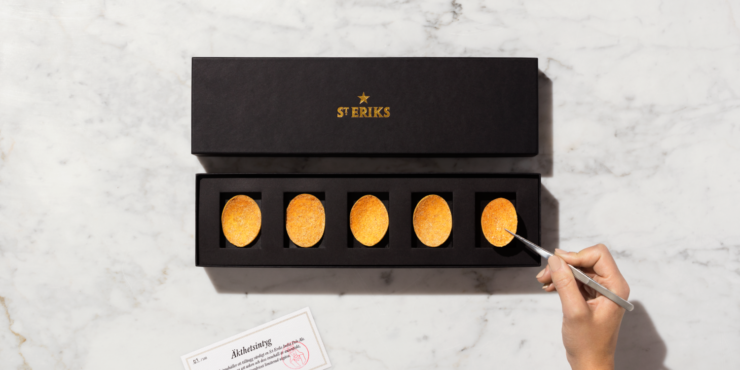 – Ammarnäs Potatoes The potato in the chips comes from the potato hillside in Ammarnäs, a steep, stony slope in a south-facing location where almond potatoes are cultivated in very limited numbers. – India Pale Ale Wort During the process of brewing beer, the barley malt is converted into a sweet aromatic liquid known as wort. To add a hint of sweetness to the chips, freeze-dried wort was added, of the kind normally used to brew S:t Eriks India Pale Ale. Of course there’s nothing in there that can properly justify the asking price, but it’s a fun marketing gimmick and here we are, giving them some attention. Still, if you want your own, well, you can’t have one, since they’re sold out. We don’t know if there will be another production run, or if this is even the sort of thing you’d eventually find on eBay.